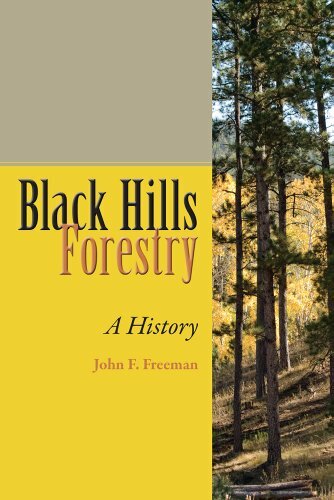 The first study focused on the history of the Black Hills National Forest, its centrality to life in the region, and its preeminence within the National Forest System, "Black Hills Forestry" is a cultural history of the most commercialized national forest in the nation. One of the first forests actively managed by the federal government and the site of the first sale of federally owned timber to a private party, the Black Hills National Forest has served as a management model for all national forests. Its many uses, activities, and issuesrecreation, timber, mining, grazing, tourism, First American cultural usage, and the intermingling of public and private landsexpose the ongoing tensions between private landowners and public land managers. Freeman shows how forest management in the Black Hills encapsulates the Forest Service's failures to keep up with changes in the public's view of forest values until compelled to do so by federal legislation and the courts. In addition, he explores how more recent events in the region like catastrophic wildfires and mountain pine beetle epidemics have provided forest managers with the chance to realign their efforts to create and maintain a biologically diverse forest that can better resist natural and human disturbances. This study of the Black Hills offers an excellent prism through which to view the history of the US Forest Service's land management policies. Foresters, land managers, and regional historians will find "Black Hills Forestry" a valuable resource."